HOUSTON --A mother claims she was wrongfully arrested and charged with abandoning her children at a mall food court, reports CBS affiliate KHOU. Laura Browder was arrested on July 15 after police found her 6-year-old daughter and 2-year-old son allegedly unattended at the food court at Houston's Memorial City Mall. Browder said in a statement released to KHOU Monday that she was meeting a prospective employer for a job interview in the food court at Houston's Memorial City Mall. The employer has not been identified, but Browder said it is not based at the mall. She said she brought her 6-year-old daughter and 2-year-old son with her, because she didn't have enough time to line up child care. Browder sat her children down inside the food court near a McDonald's, where she had bought them food, and went to her interview. She claims she wasn't more than 30 feet away from her children at any point and they were always in her line of sight. But by the time Browder returned to her children, a police officer was on scene and she was arrested. "This was very unfortunate this happened. I had (an) interview with a very great company with lots of career growth. I am a college student and mother of two. I would never put my name, background, or children in harms way intentionally," Browder said in the statement. She said she was handcuffed just moments after accepting the new job and she's not sure how her arrest will affect the new opportunity. 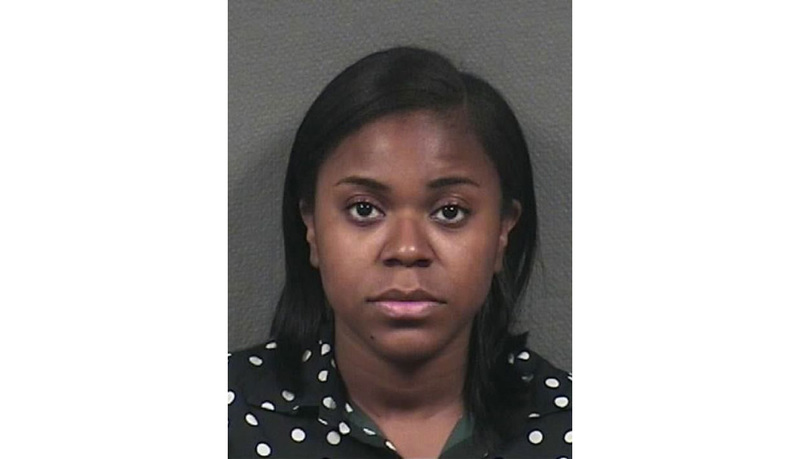 Officials from the county's Children's Protective Services told KHOU that the incident is still under investigation, but added they could offer services to help Browder find suitable daycare. In the meantime, Browder's children were returned to her after a court hearing, she said in the statement. "A judge released my children to me knowing that I was a good mother who just made a not so smart decision," Browder said.